Sen. Bernie Sanders (I-VT) endorsed Marie Newman, the pro-abortion primary challenger to pro-life Democrat incumbent Rep. Dan Lipinski (D-IL) who is a seven-term congressman and one of the last pro-life Democrats in Congress. 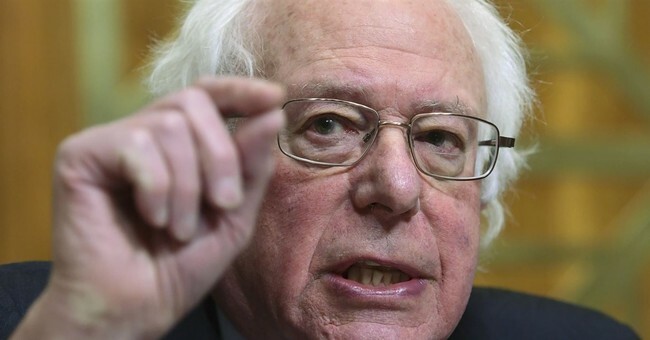 Sen. Sanders’s endorsement of a challenger to a Democratic incumbent is a bit difficult to square with his recent remarks condemning primary attacks on other Democrats. Sanders has not previously backed a challenger to a Democrat incumbent. Lipinski is facing attacks from powerful abortion advocacy groups as well as some of his Democratic colleagues in Congress. Politico reported last week that Lipinski will not receive an endorsement from the national Democratic party. His primary against Marie Newman is on March 20th. The abortion advocacy group NARAL has been especially targeting Lipinski over his pro-life stance. Lipinski argues that it’s his challenger’s abortion stance that’s more extreme. He recently warned of a “tea party of the left” that could cost the Democrats in the long run if they decide to shut out pro-life voices in the party. Sanders’s backing of Lipinski’s opponent is interesting given that he defended campaigning with mayoral candidate Heath Mello last year who was scrutinized for supporting pro-life legislation in the past. "The truth is that in some conservative states there will be candidates that are popular candidates who may not agree with me on every issue. I understand it. That's what politics is about," Sanders told NPR about the incident in April. That incident ignited a firestorm over an “abortion litmus test” in the Democratic party. But Perez’s statement later received pushback from top Democratic leaders, including House Minority Leader Nancy Pelosi. She told The Washington Post in May that she did not believe in a litmus test for Democrats on abortion. Pelosi endorsed Lipinski in her press conference last week.